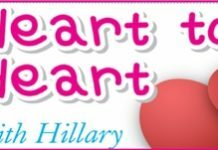 Home Blogs Heart to Heart with Hillary Mick Dundee rides again! I am a successful Australian businessman who has worked hard, accumulated a high level of wealth that provides me with a very comfortable lifestyle. Despite my financial successes, I have failed miserably in finding true love. I have commenced a worldwide trek to track down that elusive female butterfly. One who will be able to fill that void in my life, love me, marry me and produce our children. Australian women are not suitable. I have always believed that any relationship is a 50 – 50 proposition, but Aussie women don’t understand fractions. I flew to America. I met an attractive girl and took her to Disneyland to enjoy the rides, but she took me for a ride. In Canada I met a beautiful librarian, but she spent most of her time reading my bank books. In Paris I met a very tender person, but she was only interested in legal tender. I am now here in Pattaya, still searching for my butterfly. I have met a cute local girl named Noi who works at a beer bar. She doesn’t seem interested in taking my money for herself and only insists that I give her two thousand baht every morning for her taxi ride home. It seems that both of her parents are always ill as she needs additional money to send to them. Please tell me about the local girls. Could Noi be my elusive butterfly? She wants me to take her away from it all but could she take it all away from me? Could the fact that her parents are always ill have any detrimental genetic effect on any children we may have? Awaiting your advice, as the lawyers write. Aren’t you a little dear! Or should I say a little expensive? Is Noi your elusive butterfly? Of course! Be aware, however, perhaps elusive but not exclusive. Don’t worry about Noi’s health – she will only get sick later in life when the daughter you have between you meets a rich Australian who has worked hard and accumulated a high level of wealth and is looking for an elusive butterfly. In the meantime, I suggest she takes a cheaper taxi home, that Rolls-Royce is a little over the top. Give her 40 baht for a motorcycle taxi and see how she goes! Or should I say “disappears”. As they say here, you never lose your girl, you only lose your turn! Have you considered having yourself cloned? Us girls all over the world need more of you!